Day 2 of the Courts IDC tournament has begun at the ANZ stadium today where Nadi takes on Tavua. In today, Ba will play Nasinu at 2pm, Lautoka and Labasa will play at 4pm while Suva will play Rewa at 6pm. Lautoka has begun their defense for the Courts IDC title with a 2-0 win over Ba yesterday. Sairusi Nalaubu and Benjamin Totori scored for Lautoka in the second half. Totori says he was excited to score. In other matches yesterday, Labasa thrashed Nasinu 5-1. 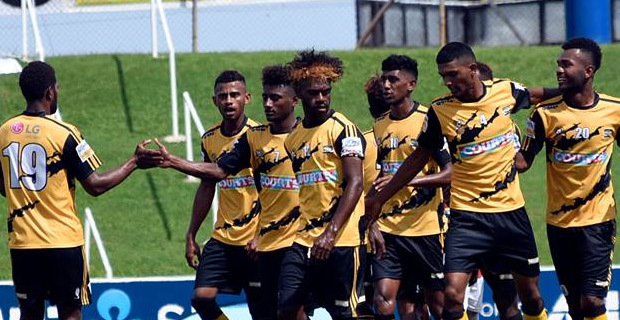 Vilitati Kautoga and Christopher Wasasala scored two goals each for Labasa. Wasasala says the team is geared up for the match against Lautoka today. Nadi overcame Suva 2‑1 and Nadi’s Rusiate Matarerega says he has managed to continue his performance. Meanwhile, Tavua defeated Rewa 2‑0. You can catch the live commentaries of the Ba Nasinu, Lautoka Labasa and Suva Rewa matches today on Radio Sargam.